High Quality Ingram Angus 2-Year-Old Bulls are headed to Florida! These bulls are available private treaty and are forage developed and built to last. Bulls will be available Fall 2019. All bulls sell with the Ingram Angus guarantee! Escape Ranch and Ingram Angus share ownership and have partnered together to supply quality genetics to other Florida beef operations. Escape Ranch is a commercial Florida cattle ranch that is designed to supply heat-adapted, hardy cattle that are specifically bred to perform and thrive in the gulf coastal conditions. Located in Kenansville, Florida, Escape Ranch has been running cattle in the Florida beef industry for nearly two decades. The operation is a real-world Florida ranch, with cattle running on native pastures and improved forages in large areas where hardiness and efficiency are a requirement to survive. Kevin Whaley, manager of the Escape Ranch Cattle Division is a Florida native who also runs his own cattle near Kenansville. With Ingram Angus operating in Tennessee, we realize that the cattle business of Florida is much different. Over the last 20 years ranching in Florida, Escape Ranch understands that it takes a specific animal to be successful in this environment. The Escape Ranch program is designed to produce cattle that fit those needs. Ingram Angus has a large number of Angus recipient cows that are being used as a base to produce F1 females. 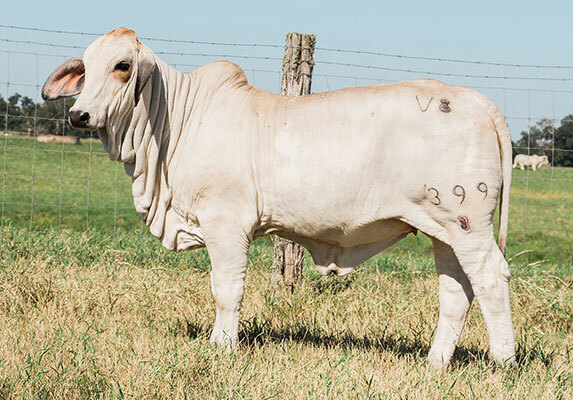 We are producing and have purchased Brahman bulls to turn in behind our recipient herd to produce F1 replacements. These high quality F1 females are developed at Ingram Angus and sent to Escape Ranch to enter the herd in Florida. These replacement females produced bring in the heat tolerance, insect resistance, and ability to work in the environment. A small nucleus of Brahman cattle are being used as seedstock to make our own Brahman bulls that produce our F1 replacements. 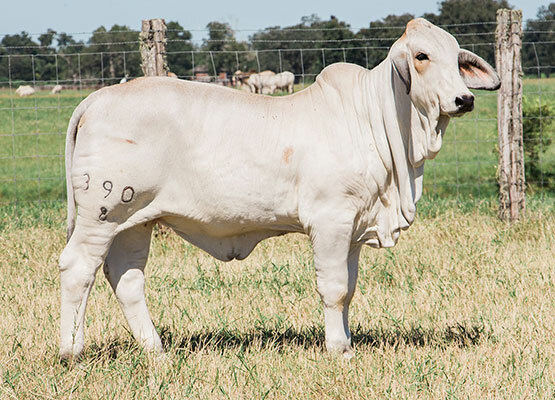 These have been hand-selected from one of the premier Brahman herds of the world to represent the finest in today’s modern Brahman bloodlines – with a focus on disposition, low birthweight, and carcass quality. The purpose of the F1 cattle is to improve the Escape Ranch replacement females and using bulls from Ingram Angus to incorporate the highest quality feeder calf within the Florida climate. Brahman Females in the Escape Ranch F-1 Producing Program.